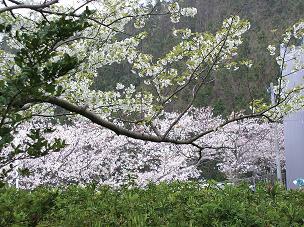 The National Institute for Minamata Disease (NIMD) was established in October of 1978 in Minamata City, Kumamoto Prefecture, with the purpose of conducting comprehensive medical research to improve medical treatment for victims of Minamata Disease while giving balanced consideration to its deep historical background and social importance. 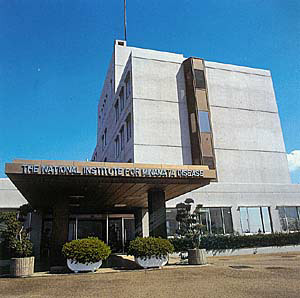 In July 1996, NIMD was reorganized to strengthen research function based on the local characteristics as the area of occurrence of Minamata Disease, and new department, Department of International Affairs and Environmental Sciences, was established to implement international, social and natural scientific research and to collect, manage and provide international and domestic information with regard to Minamata Disease. In addition, Minamata Disease Archives was established as the clearinghouse to disseminate information about Minamata Disease in June 2001. Furthermore, NIMD was consolidated into National Environmental Research and Training Institute in July 2003, and the institute was enhanced their functions and became possible to effectively utilize their abilities for international environmental cooperation, training, and so on. Takeo Miki, the Minister of the Environmental Agency, announced to establish an institute in Minamata. Committee for basic planning of the Minamata disease Medical Research Center established. (Chairman: Noboru Ohashi, Director of Minamata City Hospital) Main building construction started. National Institute for Minamata Disease (NIMD) founded with two departments (Clinical Medicine Department and Basic Medical Sciences Department) and Administration Division. SPF Animal Research Facilities built. NIMD accepted WHO Collaborating Center for studies on the health effects of organic mercury. Animal Research Facilities for Monkeys built. Construction of Research Resource Bank completed. NIMD reorganized with a new Department of International Affairs and Environmental Sciences. International Research Collaborating Facilities built. NIMD became an affiliated organization of National Environmental Research and Training Institute under the Ministry of the Environment. Construction of Research Collaborative Facilities completed.